The member of the Lab perform their first experiment to try to change the future sending a D-mail to the past with the winning number for the third prize of a lotteries. This episode was awesome. Things are finally moving forward. We solve a question with a new, even more interesting, question. The team has completed their first test and have changed the future and Hououin lives and remember everything. Now what troubles me in this episode, while they sent the number in the past, they still did not win the lottery because of a mistake on the part of the courier. I would like it if they did some test to see if they can in fact change the future, or if everything they do will only have a small nearly undistinguishable difference. This might be the 1% convergence line John Titor was talking about. It might be very difficult to change time with a big difference in time-line. Maybe one timeline can only diverge from its original path by only so much. Those are all questions that plagues my mind since this episode. Now the new question that was and will most likely keep on getting explored in next few episode is Hououin particular ability to remember the past timeline. It is an exploit unheard of according to John Titor, but is it really that special and unique? after all we don’t have a clue who John Titor really is. I would also point out that Moeka seems like she knows a bit about previous timeline too. Now is Moeka also able to keep her memory of previous time? or is it only her cellphone that don’t change with time and therefore let her keep some kind of memory of the previous world? This is something that is worth looking into. There are just so many questions in my head and episodes are only 20 minutes long. I do know most of these questions will be answered since the series is scheduled to be 24 episodes long, but there are so many hint at so many mystery, It is hard to keep going with so many unanswered question after each new episode. Other characters to watch in the next few episode? 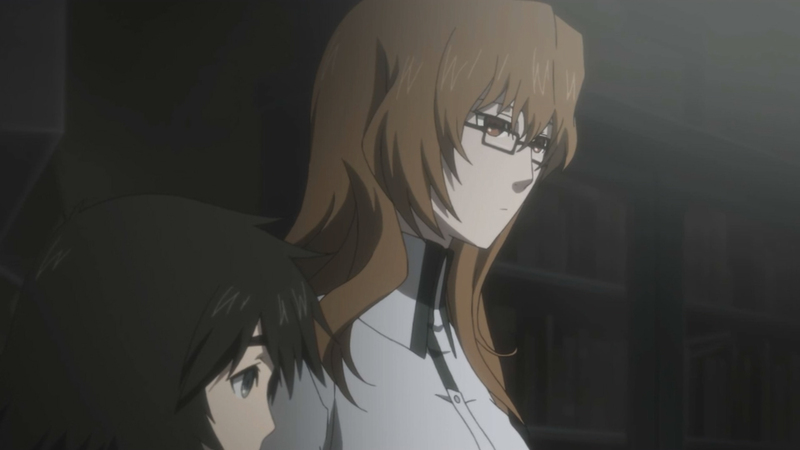 Makise is really intelligent, she is not to be underestimated in her understanding of the situation, she seems to be able to see Hououin’s distress and new knowledge behind his madmen personality he wears in public. 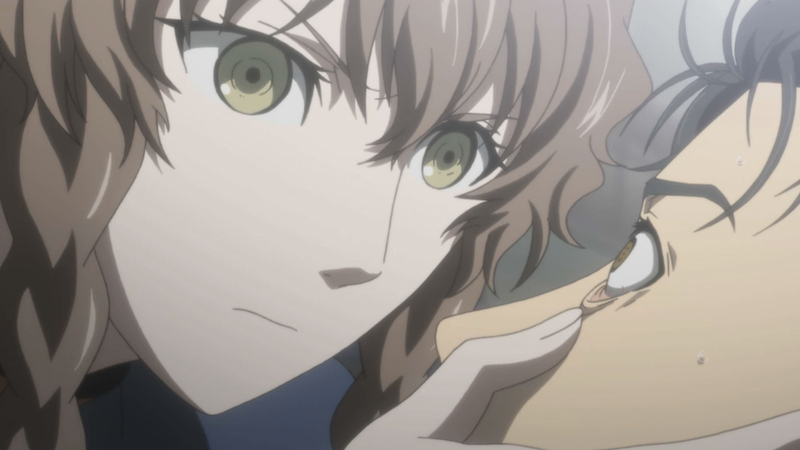 I know for sure that Makise is currently knowing that Hououin did a time traveling experiment, she just wants to make sure before saying anything too loud, since if she was to be wrong Hououin could make quite a fool of her. The other character I already warned about is Amane. The part-timer under Hououin’s lab. I am now 95% convinced that she comes from the future to save Hououin from something. Now I just need to figure out if she is a robot that enjoys fighting with destructive force and big weapon, saying short lame pun after each impressive kill/explosion. 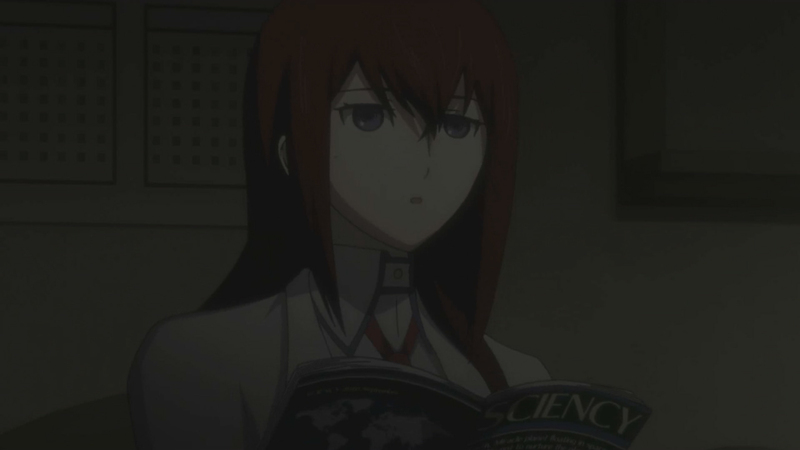 Steins; Gate truly is an anime that leads the viewer to actually think, I think that is the reason why I love this show so much compared to other. I feel more involved watching it than some other anime where you just watch ninja’s fight each other. I only hope the show will continue on his path to excellence and won’t go downhill halfway through. This show is not for everyone, but if you are a geek and enjoy anime, this is the best anime of this season or close to it. The only real problem with the show is the fact you need to wait a whole week before you can learn more about the very meaning of time. Next story Yu Gi Oh Zexal Ep 5: Yuma STFU and LISTEN!! !